New distance education studio funded! Woohoo! Fizzics Education was announced as a major grant recipient of the $25K from the ‘Grow with nbnTM’ program. 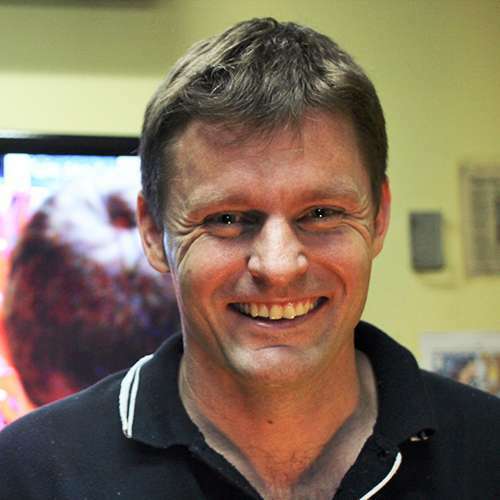 The Grow with nbnTM program was a joint initiative of NBN Co Ltd and the Australian Information Industry Association designed to help promote and support organisations that are using the National Broadband Network network to its full advantage. Fizzics Education has been running science workshops via video conference since 2010, however, this was done on a shoestring budget in an area not serviced by the National Broadband Network. With Fizzics Education moving to Blacktown in late 2016 the science outreach team was able to access to higher broadband speeds at a lower cost. The new funding will now allow Fizzics to create a purpose-built distance education space, complete with a chroma-key green screen, soundproofing and the ability to run concurrent video conference sessions. 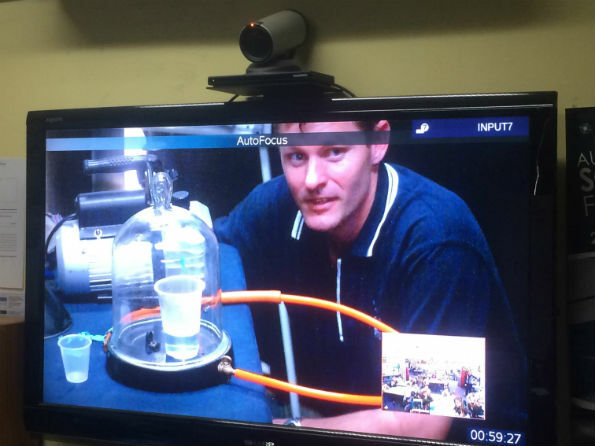 Teaching students about air pressure during a Fizzics video conference. 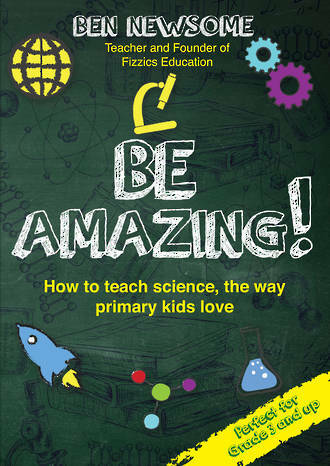 An extra bonus will be that the professional studio will also allow additional STEM teaching video resources to be created for teachers and students on the Fizzics website as well as support an upcoming podcast on teaching science & technology. If you’re interested in teaching science remotely my full Churchill Fellowship report on ‘Best Practice in Science Education via Video Conference’ will show you how 26 museums across North America have been using this technology to teach STEM to kids across the globe. Thank you NBN Co Ltd and AIIA, we’re looking forward to the build! International Day of “—–“… there’s a STEM learning opportunity here!